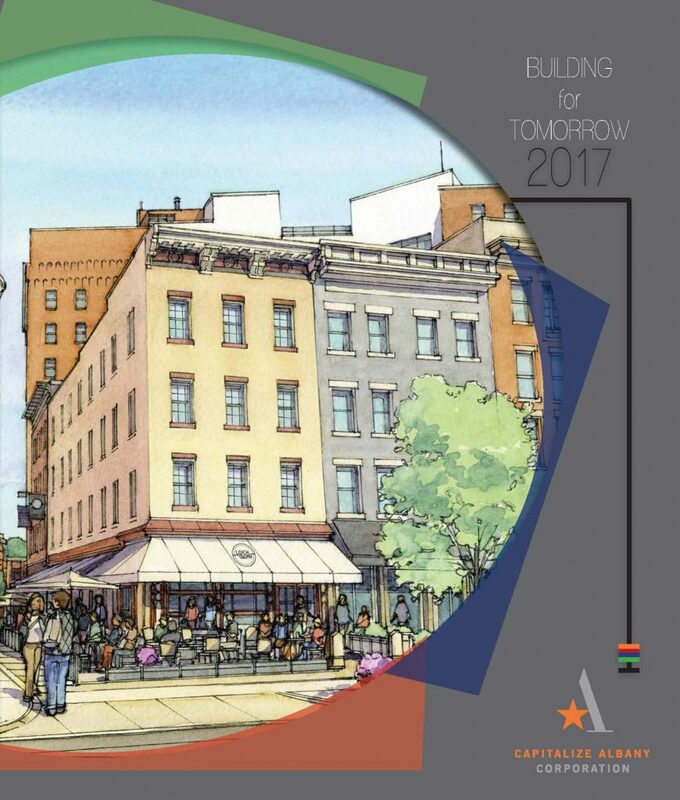 In review of 2017, Capitalize Albany Corporation’s annual report presents an unprecedented year of investment in the City of Albany. For more than three decades the work of Capitalize Albany Corporation has elevated the City of Albany and the Region. It’s executing action-oriented strategies and catalyzing transformation in Albany’s neighborhoods, downtown and commercial districts. To learn more read Capitalize Albany Corporation’s 2017 annual report by clicking above or here. In 2018 this publication was recognized for its success and received a MARCOM award presented by the Capital Region chapters of the Public Relations Society of America and the American Marketing Association. Current trends and a strong foundation are building momentum that puts the Capital City on a steep growth trajectory. Corporate headquarters are flocking back, new residents are driving the market, and entrepreneurship is on the rise. Albany is competing on a global scale – and winning.